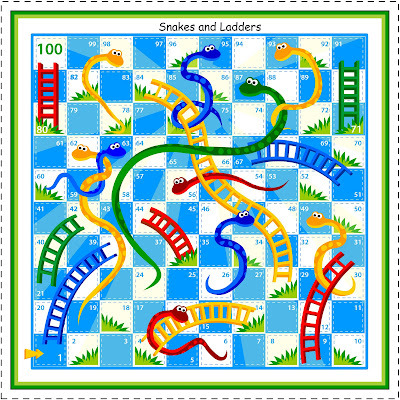 Obtain or make a Snakes and Ladders game board or find a website where you can play online. Players place their game pieces on the space on the board labeled "0" or directly in front of the "1" space to start. Roll the die if you are the first player and mark off the number rolled starting on the "1" spot on the board. All players take turns rolling the die and moving their markers. Move up a ladder to a higher spot on the board if you land on a space that has the bottom of the ladder in the space after you've completed your move, which is called "climbing the ladder." 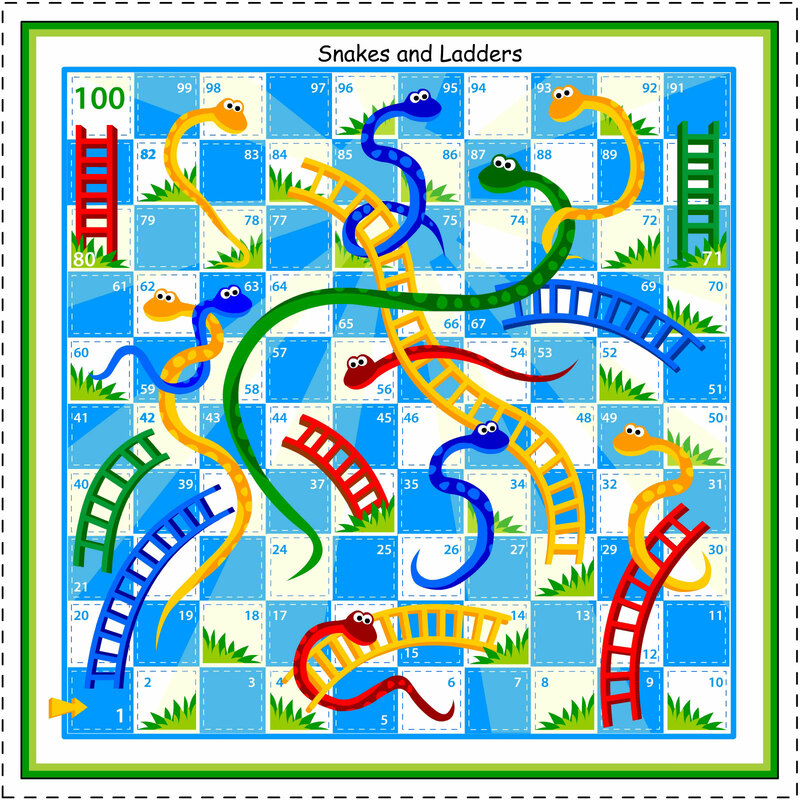 Move your marker down the snake to a lower spot on the board if you land on a space on the board that has a tip of a snake on it after you've completed your move, which is called "sliding down the snake." Win the game by being the first to reach the "100" spot on the board.